How do you anger a blond? Put her in a round room and tell her to stand in the corner. 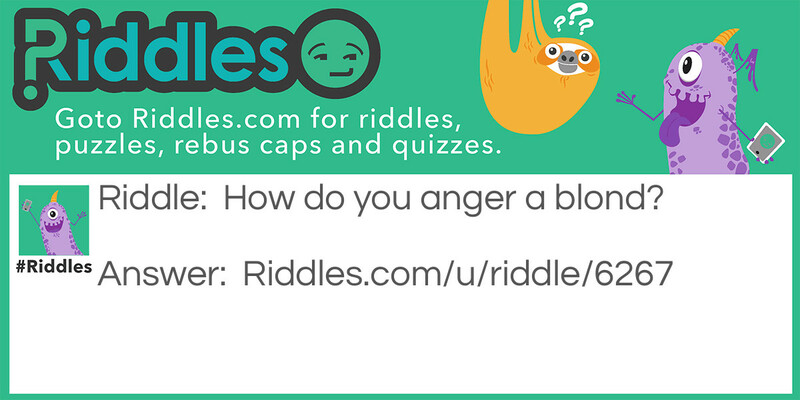 Blond corner Riddle Meme with riddle and answer page link.